The Samsung ML-3471ND mono laser printer is a workgroup targeted printer. This printer comes well in the budget and it is energy efficient as well. You will receive Samsung ML-3471ND Toner Cartridge as consumable on purchase of the printer. The Samsung ML-3471ND printer measure 400 mm in width, 433 mm in depth and 285 mm in height. This printer weighs about 11 kgs. It is light gray in color with accents of darker gray making it a classic addition to your office space. The Samsung ML-3471ND mono laser printer is known for its print speed. This printer can print up to 33 pages per minute. It has an auto duplexing system. The control panel of the printer is towards the right of the output tray. The control panel for Samsung ML-3471ND printer has two useful buttons that are not there in most other machines- Duplex and Toner Saver. These two functions can otherwise be accessed using the driver. The toner saver option helps save the toner in the Samsung ML-3471ND Toner Cartridge by printing slightly lighter prints. The printer offers a printhead and carriage resolution of 1200 dpi. The maximum paper size that the printer can print is A4. It can be connected to the system using Ethernet or USB. It can print up to 50,000 pages per month. It supports Windows and iOS. The Samsung ML-3471ND printer can be praised for its fast print speed. The printer offers features that are useful and easy to use such as the Toner Saver button on the control panel. Auto duplexing is another feature that makes this printer a good choice for workplaces. Though the paper capacity of the paper trays is not very high. The trays cannot hold as much paper as the printer can print. However, the overall working and print quality of the printer is great. How to get rid of undesired vertical patterns on the print outs? 1. The Samsung ML-3471ND toner cartridge may found damaged. Solution: If a repetitive mark appears on the page, print a cleaning sheet several times to clean the cartridge. After cleaning the cartridges, if you still face the same problem install the new ones. 2. Parts of the printer may have toner on them. If defects occur on the back of the page, the problem will likely to recover itself after a few more pages. Solution: Check if the damage has been done to the fusing unit contact the service person. During the printing process, paper, toner and dust particles can accumulate inside the printer which can cause print quality problems. To maintain the optimum performance of the printer one must clean the printer when required. Step 1: Turn off the printer and unplug the power cord. Wait for the printer to cool down. Step 2: Open the front cover and pull the Samsung ML-3471ND toner cartridges out. Set it on a clean flat surface. Caution: To prevent any damage to the toner cartridges do not expose them to light and use the handle on the cartridge to avoid touching the electrical contacts. Step 3: With a dry lint free cloth, wipe away any dust and spilled toner from the toner cartridge area and toner cartridge cavity. Caution: Do not touch the transfer roller underneath the Samsung ML-3471ND toner cartridge. Oil from your fingers can cause print scan quality problems. Step 4: Locate the long strip of glass (LSU) inside top of the cartridge compartment, and gently swab the glass with a cotton swab checking to see if dirt turns the cotton black. Step 5: Reinsert the toner cartridge and close the front cover. Step 6: Plug in the power cord and turn the printer on. Q. Are there any colour cartridges available for the Samsung ML-2250 printer? A. There are no colour Samsung ML-2250 toner cartridges since this printer only supports monochrome printing. Q. What sizes of printer can the Samsung ML-2250 printer print on? A. The Samsung ML-2250 printer print on paper sizes such as Letter A Size (8.5 in x 11 in), Legal (8.5 in x 14 in), Executive (7.25 in x 10.5 in), A4 (8.25 in x 11.7 in), A5 (5.83 in x 8.25 in), B5 (6.93 in x 9.83 in), A6 (4.13 in x 5.83 in), Folio (8.5 in x 13 in) and JIS B5 (7.17 in x 10.12 in). Q. What is the maximum printing resolution of Samsung ML-2250? A. The maximum printing resolution of this printer is 1200 X 1200 dpi (Dots per inch). Q. What are the dimensions of the Samsung ML-2250 printer and how much does it weigh? A. 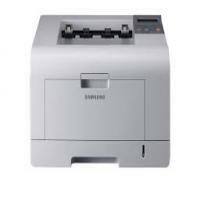 The dimensions of the Samsung ML-2250 printer are:- 15.7 in (Width) x 17 in (Depth) x 11.2 (Height). It weighs around 12.2 kg. Q. I currently reside in Limerick. Can you deliver Samsung ML-2250 toner cartridges here? Q. What is the use of redistributing the toner? A. When toner is low, faded or light areas may appear on a printed page. You may be able to temporarily improve the print quality by redistributing the toner. However, you should replace the toner cartridges in the printer to solve the problem thoroughly. Q. How does the use of compatible Samsung ML-2250 toner cartridges help the environment? Q. I bought Samsung ML-3471ND toner cartridge a less than a month back. I haven’t used it since I am planning to dispose of my printer. The toner cartridge pack is intact and I haven’t touched it yet. Considering my requirements, can I buy some other product from your website in exchange of this cartridge? Is it possible? A. We understand your concern. As per our return policy you can return a non-faulty product before 30 days from the date of purchase in the original condition. Unfortunately, we cannot accept any product after 30 days. You can definitely buy other products from our website in exchange of the old one. But before that you will need to contact our customer support and verify all the product details along with your Order ID and Billing Address. If you still need any clarifications regarding the same, please contact us via email info@printerinkcartridges.ie or phone 048 30833221. Q. How do I cancel a print job on Samsung ML-3471ND for Windows Vista? A. Follow the steps given below if your print job is waiting in a print spooler or print queue. Please Note: This window can even be accessed by double-clicking your printer icon which is located at the bottom right corner of the desktop. You can even cancel the current job by simply pressing the Stop button on the control panel of the printer. Q. Hello. Is the Samsung ML-3471ND toner cartridge compatible with Samsung ML-3473NDK printer? A. Yes. The Samsung ML - 3471ND toner cartridge is compatible with Samsung ML-3473NDK printer and most of the other printers in Samsung ML series.